Many would argue that the original "Star Wars" films were masterpieces when they were first released (the prequels not so much). However George Lucas just can't stop futzing around with his creations. The billionaire filmmaker's latest change can be seen in the upcoming Blu-ray release of the original trilogy. In the battle between Luke Skywalker and the Emperor in "Return of the Jedi," Lucas has given Darth Vader a new bit of dialogue. Originally, Darth Vader just stood and watched the Emperor electrocute Luke with lightning bolts before coming to his son's rescue. Not anymore. Now, right before Darth Vader comes out of his daze, lifts up the Emperor, and tosses him to his death, the Dark Lord of the Sith yells a helpless "Noooo!" If you're having having flashbacks to the awkward moment in "Revenge of the Sith" when the newly created Darth Vader screams "Noooo!" after the Emperor lies to him about Padme's death (awesome parody here), you're not alone. "Star Wars" fans far and wide have voiced their displeasure. Among the disappointed is filmmaker Simon Pegg, who wrote on Twitter that he "always loved Vader's wordless self sacrifice." Pegg then goes on to use salty language to bring home his point. Commenters at Entertainment Weekly are equally displeased. One person writes, "WHY? WHY? WHY? Mr Lucas — do you have sooo much time on your hands that all you want to do is to simply keep tinkering with the movies? Leave them alone and go fishing!" Another jokingly posts, "Oh, now I get it. 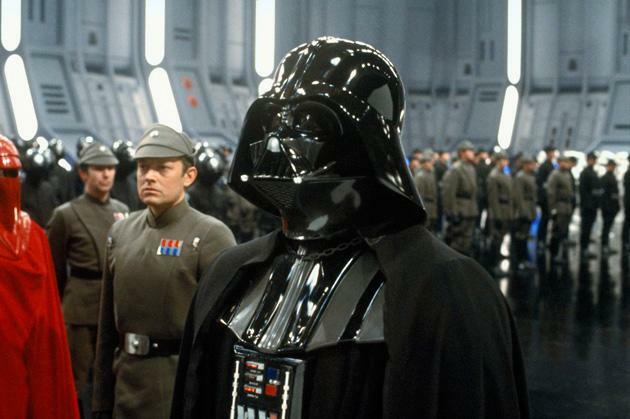 Vader threw the Emperor down the shaft because he was saying "NOOOOO…." to what the Emperor was doing to his kid. And here I always thought it was just a big ol' bear hug that went wrong..."
Still, for all the outrage, Lucas has been unapologetic about his desire to alter his movies, probably because he truly believes he's improving them. In the past, he's made Han Solo shoot Greedo first, added Hayden Christensen to the end of "Return of the Jedi," and given Jabba the Hutt an ill-advised cameo in "A New Hope." None of thoes changes have gone over well with the fans who have made him a billionaire. Perhaps one day he'll digitally remove Jar Jar Binks from "The Phantom Menace." Would anyone complain about that? Anyone?